With six bedrooms including four single storey for a total of 240 sqm SH, a large entrance hall that extend 63 sqm living-stay, this villa of quality construction is in the heart of a garden of + 2200m ² with pool, in a quiet environment. Traditionally built in the year 1985, dressed with travertine and bathed by the light, it also consists of a separate kitchen, two baths, storeroom, garage, real cellar for amateurs, space bbc .. 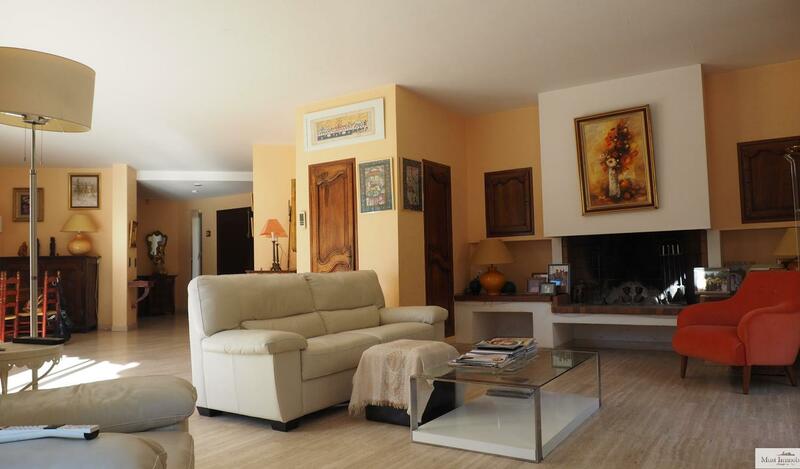 Ideal family villa for receiving, very close from downtown Perpignan, in search of new owners who will give him a second wind.